We also received £1000 of funding through ACE to develop a walk leaflet around the Iochdar area. This circular walk is four miles long, on fairly level ground and is suitable for most levels of fitness and ability. 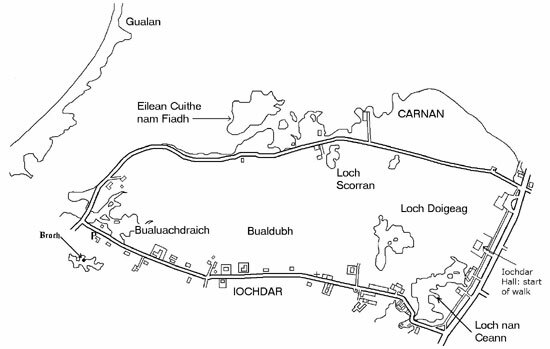 The research for the walk was done by a local resident, Katie MacDonald, who is also member of the South Uist Historical Society. The natural history aspects were provided by Mary Harman, who works for SNH. The leaflet illustrations were provided by Bill Neil, an artist who lives in South Uist.